UCSF Sandler Neuroscience Center is a 237,000 square foot, five-story Neurosciences Laboratory and Clinical Research Building on block 19-A in the Mission Bay Campus in San Francisco for the University of California San Francisco (UCSF). The facility has laboratories headed by principal investigators from the UCSF Department of Neurology, the Institute for Neurodegenerative Diseases (IND), and the Center for Integrative Neuroscience (CIN). 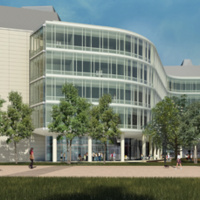 The Sandler Neurosciences Center, along with nearby Arthur and Toni Rembe Rock Hall, makes Mission Bay one of the largest neuroscience complexes in the world.